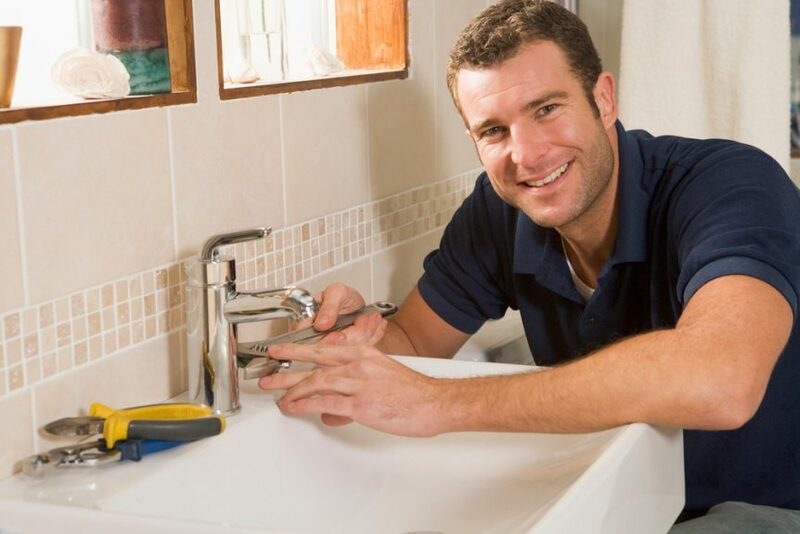 In our current era, it’s hard to imagine living without modern plumbing, or even without plumbing at all. Every single day we use and even take for granted the marvels of flushing toilets, hot showers, faucets with warm and cold water, outdoor hoses to wash our cars and water our lawns. These wonders haven’t always been with us, however the very basic idea and understanding of plumbing has been around for quite a bit longer than you might think. The concept of our modern idea of plumbing, basically moving water through pipes of some sort for reasons of sanitation or for water use in a domicile, has been around for thousands of years. Though the technology of digging and maintaining wells for procuring fresh water has been around since at least the Neolithic Age, the purposeful attempts at moving water in human made viaducts seems to have appeared around 3000 BC. Wastewater systems have been found in Neolithic homes in Scotland. These were created from stone and tree bark and although very primitive, it’s intended purpose was to remove waste from the dwelling. Moving of wastewater was also a feature in some dwellings in the Indus Valley Civilization a town unearthed there called Lothal had every home using a sewer system constructed from earthen bricks and mortar. This system is dated to 2350 BC. The Babylonians are known to have constructed sewer pipes made of clay as early as 4000 BC. From these early plumbers’ promising beginnings come even more exciting innovations! The Minoan plumbers who lived on what is now the Greek island of Crete, took the idea of using clay pipes for sewage and improved on it by putting the pipes underground. In Knossos, their capital, the water moving system was highly functional. It brought clean water into the city, moved waste water out, and even helped to control overflow during heavy rains. They even used a kind of flushing toilet of sorts, a stone sewer that was flushed with clean water regularly. The Greeks also were the first to use an inverted siphon system in a Cretan palace, which is still functional, 3000 years later. Speaking of ancient plumbing that is still in use, the Romans perfected their system of aqueducts and pipe systems that moved water all through the city for household use and also for fountains and public latrines. Some of these are still used today, for example, Trevi Fountain is fed with the ancient Aqua Virgo aqueduct. The word “plumbers” actually comes to us from the Romans, as Romans used lead pipes often in their systems. The Latin word for lead is “plumbum” and people with lead pipe expertise were known as Plumbarius, which became “plumbers”. Strangely, after the fall of the Roman Empire, people lost interest in plumbing for awhile. For over 1000 years, the sewage technology actually regressed, with no improvements happening until Medieval times. After the Roman Empire fell, people seem to have gotten discouraged and resorted to simply throwing out their waste water and actual waste. Tossing it out the windows, into the streets. Waste and raw sewage was just a part of life, perhaps running in gutters, or perhaps just sitting stagnant all around town. Public health started to become a concept and people began to realize, again, that waste needed to be removed from the people and clean water needed to come in. In the 1400’s the Germans began to build pipe from iron, and large cities in Europe like Paris and London began to use pipes once again to move water. The year 1596 saw Queen Elizabeth oversee the installation of the first flushing toilet in England. The 1800’s brought American plumbers to the forefront with Philadelphia being the first city in the world to use all cast iron pipes for the entire city sewer system and Boston being the first city to have a hotel with all indoor plumbing. Chicago becomes the first large American city to have a comprehensive sewer system and also to construct a water tower. Later in the century, homes will begin to have hot water piped into their homes, and Massachusetts will unveil the world’s first drinking water treatment system. From this point on many remarkable innovations occur, ranging from strides made in pipe materials, components for faucets and valves, and of course, government regulations overseeing the whole industry of plumbing. Now, in our modern day and age, we enjoy the culmination of this entire history that plumbers from ancient times have passed down to us.